One of the best ways to do that is with a consistent marketing and sales program. And by consistent, I mean it’s something you’re doing all the time (without having to reinvent the wheel each time you undertake a marketing effort). Consistency in marketing is what generates consistency in sales. 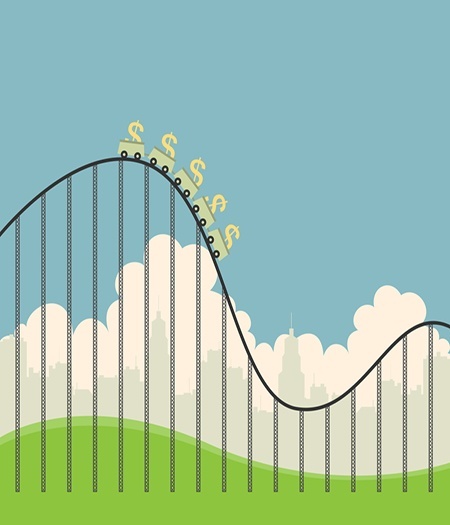 So how do you flatten your sales cycle? It helps if you approach it from the other end—from the client’s perspective. Of course, they’re not thinking about your sales cycle. What they’re concerned about is their buying cycle. It’s the process they go through before making any major purchase. Awareness:This is when a customer identifies a need they have (a remodeled home) and come to the realization that your company is well suited to meet that need. Of course that means you have to get in front of them, acknowledge their need (or remind them of it) and remind them that you understand and can help.Your potential buyers aren’t just looking for a house—they’re looking for a building partner. Consideration:This is where your potential customer evaluates how well you can meet his or her needs. This is where you’re going to be compared with other remodelers. What sets you apart? Why should they choose you? The better you understand your ideal customer, the better job you’ll do at explaining how you’ll meet their needs. Purchase:This is when your marketing efforts shift over to sales efforts. Your marketing team turns qualified, nurtured leads over to the sales team to close the deal. Repurchase: For remodelers, the best business is repeat business. And remodelers also rely heavily on referrals. That’s why you want to make the whole remodelingexperience (from marketing to sales to completion) so fantastic that your clients will tell their friends and acquaintances about it. You’ll want to capture those testimonials for others to see as well. So how does this flatten the sales cycle? The point is, even if you don’t have a major sales push going on, you can always be working on one of those five areas. Your website, your blogs, and your offline marketing efforts should always be making prospects aware of what you do. You can always look for fresh new ways to talk about the things that really matter to prospective remodelers. And you can always look for ways to differentiate yourself from the competition. You need to do this all the time, because you don’t know when your next customers will be starting their search for the information they need to choose you as their remodeler. If you are continually in front of potential clients, you have a much better chance of turning them into customers when they are ready.